An absolute classic, about which I am a bit intimidated to write. But I am moved by how close I felt to the people and events related in the book. I read it in French and I found the language and form very pleasant, elegantly aged. I wonder how it feels to read it in the original version, and in the many translations. I remember the impact with the first pages of the book. Even more than with Barkskins, I started at my standard reading speed (a reading trot! ), but, as soon as Hans Castorp arrives at the sanatorium, the rhythm of the narration slows down so abruptly that I felt like falling in a metre of soft snow. I was stuck for a couple paragraphs, then found out how to wade forward by reading much slower, paying attention to every word, stopping sometimes to think about a line. It has been a deeply fascinating read. I felt a lot of affinity with Hans Castorp’s thoughts and discussions about the world and the meaning of life, and I suppose this is because I am, like him, currently sitting away from the world’s continuous, sometimes frenetic, activities. I sympathise with his unheroic stance, his trembling look up to the higher truths that stand white and tall like sublime but also dangerous mountain peaks. This novel is an incredibly detailed soul journey. I hope that my heartfelt review will encourage you to give a look at this book 🙂 – and as usual, let me know your impressions in the comments! 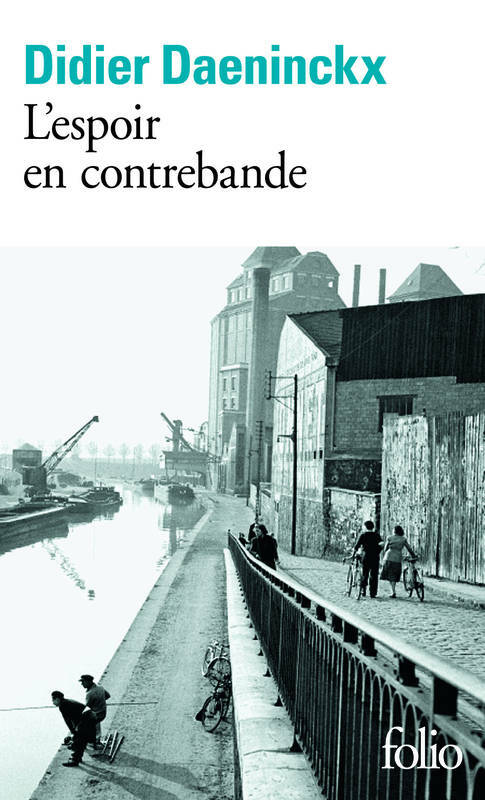 I want to dedicate a post to a few French books I found in the libraries in my corner of Berlin, as I have been able to find both books that I knew already, and to discover books at random, and being very happy with it. Thanks to the librarians who have picked up such a valid array of books from an immense pool, to populate the handful of shelves dedicated to foreign language literature! And last, Marie Sabine Roger’s La tête en friche – the story of a young man who discovers, step by step, a way of thinking that he thought unattainable and even unuseful. I like her tact in letting the protagonist explore friendship and affections under a new light, with his words, and with all serenity he is capable of. Stay tuned for more book reviews, and feel free to send me your suggestions! I just finished reading this monumental book and I’d like to write its review while the characters and the atmosphere are still hovering in my mind. This book was mentioned in one of BBC Radio 4 “Open Book” episodes. I had the good chance of finding it in the small English section of my local library. I confess I was initially intimidated by its page count (700+ pages, plus two family trees (!) in appendix), and was not especially thrilled by the first few chapters. The setting remembered me of other books that I cherish, so the inevitable comparison made it hard to follow her way of describing those places and times. But I went on. My perseverance was well rewarded! It is a magnificent tapestry of human destinies that the reader is guided to discover, one life at a time. I used to dislike when a whole group of people, century or country are condensed in the story of a few characters, but this time I saw it more as way of presenting several points of view, rather than making up a parable through simplification. I laughed so much at the tiniest details that made the whole picture come alive: noises, smells in particular. I find that Annie Proulx created a symphony. I am no writer, and when I do it’s more doodling than prosing; there has to be some different skillset in action when putting together such a book. It could compare to the difference between the training for a sprint and a marathon (also for the reader, when I think about it). I noticed that I had to read slower than usual if I wanted to understand what the book was about. It seemed to me like starting a week-long hike by properly warming up instead of running to the next landmark. The initial chapters have been able to slow down my pace and tune it to the speed I needed to complete the read. I like to think that it was intentional; either way, I am grateful for this little lesson. For who is looking for the summary and comments on this book, I simply redirect you to the Internet and your trusted fellow readers/librarians. I didn’t search this book for the contents, but for the style; and my review is purposely focused on it.